A fortnight ago, I woke up in Britain to the dreadful news of 50 innocent people gunned down by a far-right extremist in Christchurch, New Zealand. Reading the tweets and headlines, I was not surprised. The portents of a massacre have been here for a long time. Nowhere is immune. Whether in the UK or New Zealand, far-right extremism has been a threat, is a threat, and will continue to be a threat. But rather than acknowledging, let alone battling this, self-interested politicians, many in the media, and the free-for-all on social outlets has normalized and legitimized the extremes of hatred. Donald Trump shares the tweets of the Islamophobes of Britain First, spreading fake videos. He hires the xenophobic and “white nationalist” such as Steve Bannon, Sebastian Gorka, and Stephen Miller. In August 2017, days before the white supremacist rally in Charlottesville that ended with the killing of Heather Heyer and injuring of 26 people by a car driven into a crowd, Gorka said the supremacists were “not the problem”. A year and a half later, Bannon travels Europe with a campaign for the far right to gain in elections. and his European Dream where he is campaigning to ensure the far right will make gains in the forthcoming European elections and disrupt the European Union. He meets UK politicians Boris Johnson and Nigel Farage, stoking their personal quests to separate the UK from Europe. Let them call you racists. Let them call you xenophobes. Let them call you nativists. Wear it as a badge of honour. He and those like him are having an effect. In the Netherlands the populist Forum for Democracy last week stunned the political establishment last week by winning the most votes in provincial elections. Founded in 2016, the Populist party will have the most seats in the upper house of Parliament, ahead of Prime Minister Mark Rutte’s liberal VVD. Thierry Baudet, the FvD leader is now more powerful, if less high-profile, than the racist Muslimphobe Geert Wilders. Throughout Friday, as I tried to absorb the buzz of the journalists, the social media commentary and the disgust of any sound-minded person over Christchurch, I began to think about what will happen next. We will have a few days of mourning with peace vigils, peace marches, and sentimental Facebook, Twitter and Instagram posts and dialogue. People will rightly show how the normalization of hate has fed the increase in Far Right Extremism. I concluded, “Nothing will be done about it.” Maybe a mad or devious politician will welcome the attack. The shooter, and the stories of the victims, recede from view. Society goes back to the “normal” even if in the UK, this is the abnormal of Brexit as well as the end of the football season. We will walk towards another attack, be it from the far right or an assailant inspired by the Islamic State. Despite my cynicism, I still decided to attend a vigil on Friday afternoon to offer my sympathies and prayers and to stand in solidarity with others, those who share the values of respect and tolerance whatever their religious or secular beliefs. Walsall, my hometown where I spent 18 years, is a town engulfed by the usual problems of the Midlands and northern England, problems that spur discontent with politicians, immigrants, and anybody who may look different. The borough has higher unemployment than the UK average. Its population is ageing rapidly and has lower educational attainment and poorer health. Just before the 2016 Brexit referendum, Walsall was ranked among the 10 most deprived areas in Britain. These socio-economic disadvantages can be the backdrop for radicalization and extremism amid negative, often poorly-informed attitudes to immigration, race. and identity. But great efforts are being pursued to bring communities together. In this vigil outside St Paul’s Church, the people came from mosques, churches, temples, and community groups. And it was here that the ramification of the terrorist attack in Christchurch hit me hard. I have a good friend who is at the forefront of community cohesion in Walsall. He always takes the lead to ensure people engage with each other for bridges and dialogue. Earlier in the day, he learned that a relative was among the dead in Christchurch Mosque. A father of three, Junaid Kara was born in New Zealand to Indian parents, well-known in his community. His twin brother Zahid survived, Junaid perished. When my friend told me the news, recognition dawned on me. Terrorism — whether in the name of any God, Adolf Hitler, Osama Bin Laden, or obscure ideology — has no boundaries. The 50 who were gunned down brutally were being mourned in Christchurch. They were being mourned in India, home for nine of the victims. They were remembered in Egypt where Mounir Suleiman, an engineer who converted from Christianity to Islam before migrating to New Zealand for a better life. In Afghanistan, where people dealing with the local form of extremism, engineer Daoud Nabi — an engineer with a love of vintage cars, living in retirement as a community leader in New Zealand — was mourned. The president of a local Afghan association in Christchurch and a supporter of other migrant groups, he was the first victim of the shooter, his last words “Hello, brother”. The situation may have to become worse before it can get better. National intelligence services, including in New Zealand, has seen the primary — sometimes sole — issue as that of Islamic extremism. The “jihadists” are easy to present, those on the far right are not: in 2017, a total of 1,219 terror suspects were arrested, according to data by EuroPol. Of these, 705 were classifed as jihadist, only 20 as far-right. Preachers of hate who are Muslim are branded as a threat to all with tabloid headlines, in-depth documentaries and legal notices. “Good Muslims” make TV condemnations. But for the far right, extremism is normalized. British MP Jacob Rees-Mogg poses with the American Islamophobe Candace Owen, who was praised by the Christchurch shooter. Rod Liddle writes in the Spectator, “Islam is the real problem.” These subtle jabs render acceptable an antagonism towards Muslims which did not begin with the barrel of a gun in Christchurch. 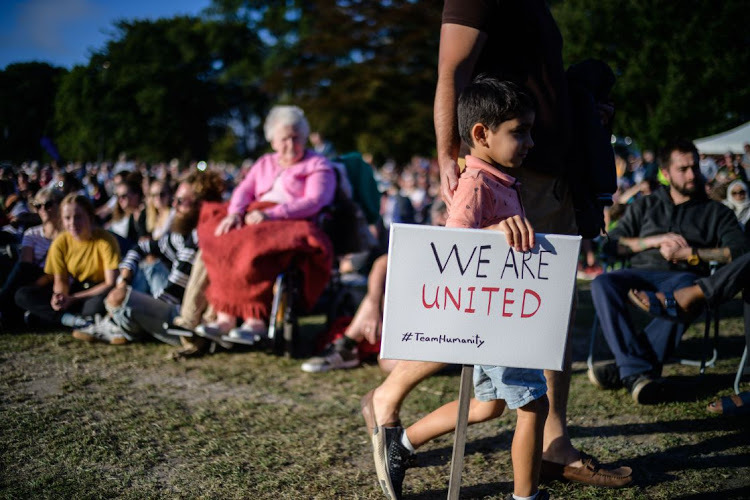 Still, after the cynicism and — more importantly — after the vigil, I sense people have been galvanized to make a difference over the threat of far-right extremism. The only proper response is apply the same scrutiny and surveillance that we have given to a “Jihadi John”. If we deny the Islamic State the oxygen to antagonize and corrupt young minds, we must do the same for the John who declares hatred and violence but carries no ISIS flag. If we do not, then the events in Christchurch — with their echoes from Walsall to Afghanistan — will not be a one-off. There are only so many vigils you can hold before someone will end up organizing a vigil for people like me. NextExplaining Brexit Chaos: What Now After Government’s 3rd Defeat in Parliament? 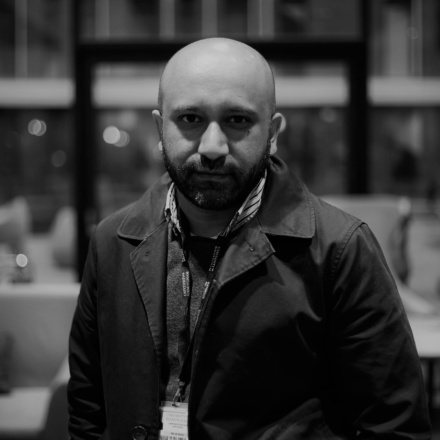 Hasan Patel is Central Communications Manager at the University of Birmingham and, before that, Planning Editor at Al Jazeera English Online.